Parenting Expert, Shelli Chosak, Ph.D, Helps Moms, Dads Understand Parenting Styles and How They Affect Children in New Book, "Your Living Legacy"
A new award-winning book “Your Living Legacy: How Your Parenting Style Shapes the Future for You and Your Child” by parenting expert, Shelli Chosak, Ph.D., gives parents helpful insight - and solutions - on how their personal style impacts their child’s development and the parent-child relationship. Dr. Chosak’s new online Parenting Quiz, based on the 5 most common parenting styles, of the 20 detailed in the book, offers some quick insight for parents. Most parenting books focus on the child as the problem. My book asks “What can I do differently as a parent? “Am I screwing up my kids?” is a question many parents consider at some point. Now, rather than just wonder and hope for the best, parents can find out how their personal parenting style is affecting their children and most importantly, what they can do about it. Parenting expert, Shelli Chosak, Ph.D, (http://www.shellichosak.com) offers parents new insight - and solutions - on how their personal style impacts their child’s development as well as the parent-child relationship in her new book, "Your Living Legacy", now available on her website and Amazon. 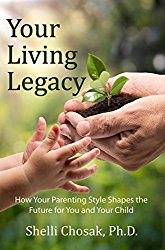 “I wrote “Your Living Legacy” to empower parents by increasing their self-awareness and help them gain confidence in raising emotionally healthy and successful children,” said Chosak, a psychotherapist specializing in family relationships for over 25 years. “The bulk of parenting books on the market focus on the child as the problem. My book asks “What can I do differently as a parent?”. The book’s focus centers on the 20 different parenting styles Dr. Chosak has identified and the effects each may have on a child. One of the most unique and compelling aspects of the book lies in the self-assessments that enable the reader to identify their personal style, how that style looks ‘in action’ and helpful hints. Each parent usually recognizes a combination of parenting approaches in themselves. Parents will learn how to evaluate their style’s impact on the child’s development, as well as on the ongoing parent-child relationship. To find your own parenting style, Dr. Chosak has created a quick online Parenting Quiz, based on the most common styles. To access the free quiz, go to “Your Living Legacy Parenting Quiz”. After submitting the quiz respondents will receive an “Answer Sheet” to score their responses and find their primary parenting style. A free, downloadable overview of the 5 Most Common Parenting Styles, is also available at http://www.shellichosak.com. Dr. Chosak’s new book provides helpful hints on other topics including improving communication, healing relationships, and letting go. “Your Living Legacy “is an essential resource for any parent who wants to take advantage of opportunities for positive development and enduring relationships. It is available in paperback and e-book at http://www.shellichosak.com or on Amazon. ABOUT THE AUTHOR: Shelli Chosak. Ph.D. is an expert in human behavior. She received her Bachelor's degree in Psychology from U.C.L.A., her Master's degree in Clinical Psychology from Pepperdine University, and earned a California state license in Marriage and Family Therapy. She later returned to school and obtained a Ph.D. in Organizational Psychology. 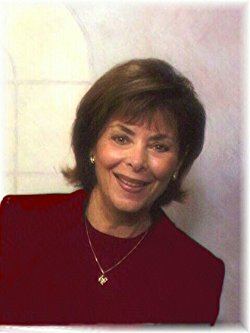 Shelli maintained a psychotherapy practice in Los Angeles for 25 years, specializing in family relationships. She served as a consultant to the Los Angeles Superior Court Family Mediation Division (Conciliation Court) for over ten years, and counseled clients referred by the court classified as "difficult cases." She was a regional coordinator for the California State Task force on Parenting and Families, a member of the California State Senate Judiciary- Family Law Advisory Committee and a delegate to the White House Conference on Families. Dr. Chosak currently lives in San Diego and maintains a coaching and consulting practice. Her lifelong passion, in addition to her three grown children and five grandchildren, is discovering and sharing ways to achieve quality of life.